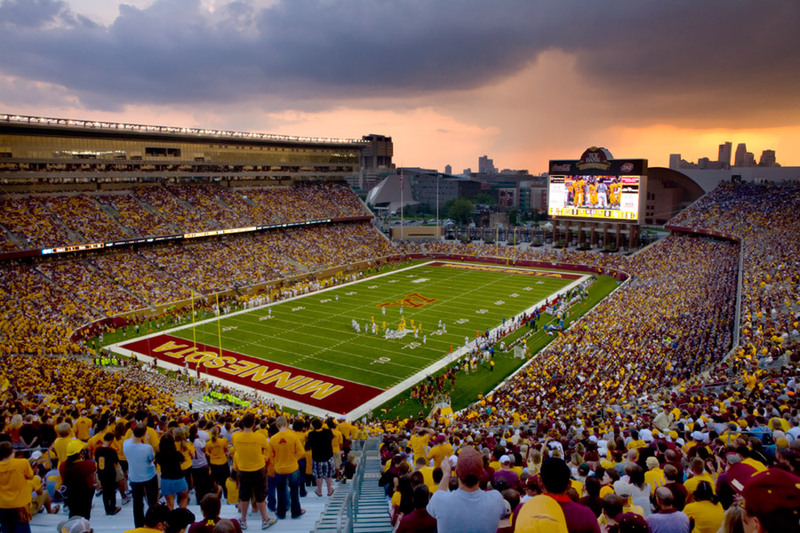 TCF Bank Stadium brings outdoor football back to the University of Minnesota campus in an open horseshoe design with a capacity of 50,000. 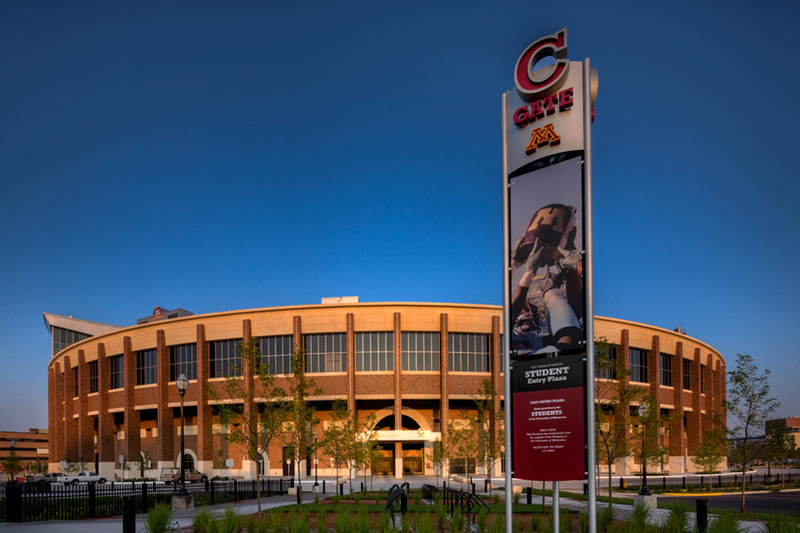 The stadium opens up to the existing campus and the Minneapolis skyline beyond, featuring a welcomed collegiate look and feel. 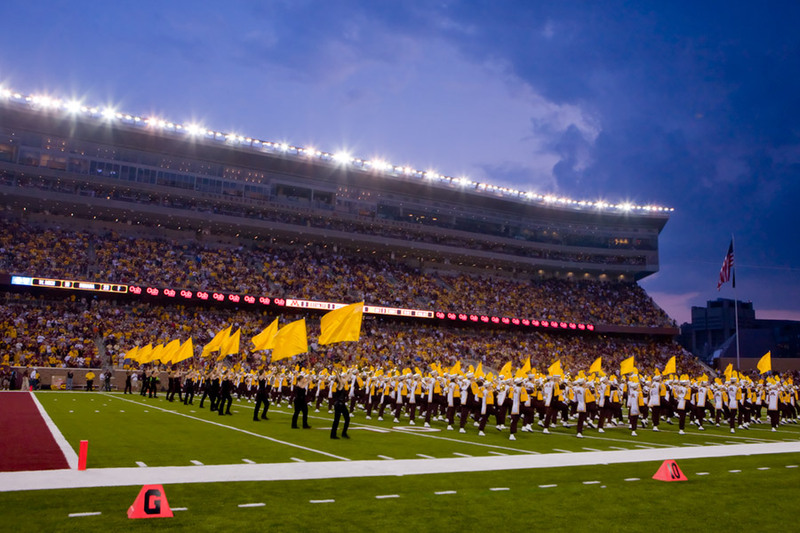 The stadium experience includes an open concourse, clubrooms and boxes, and facilities for team and the U of M marching band. 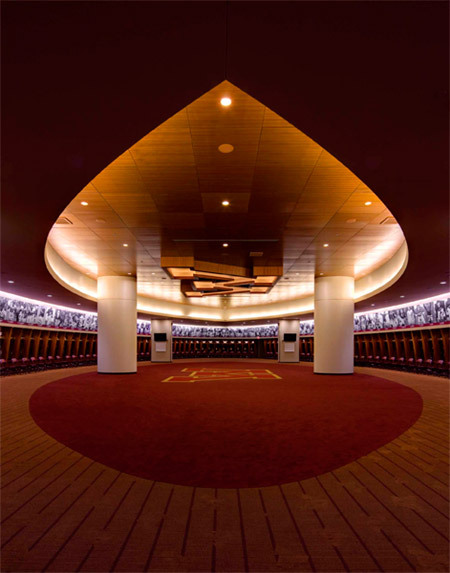 The project is the first LEED Certified football stadium in the country and incorporates numerous sustainability features. The project opened in the fall of 2009, and was designed in association with HOK Sport and Studio Hive.